Happy Tots is a not-for-profit childcare center located on a beautiful 2.5 acre setting in Cortlandt Manor, New York. 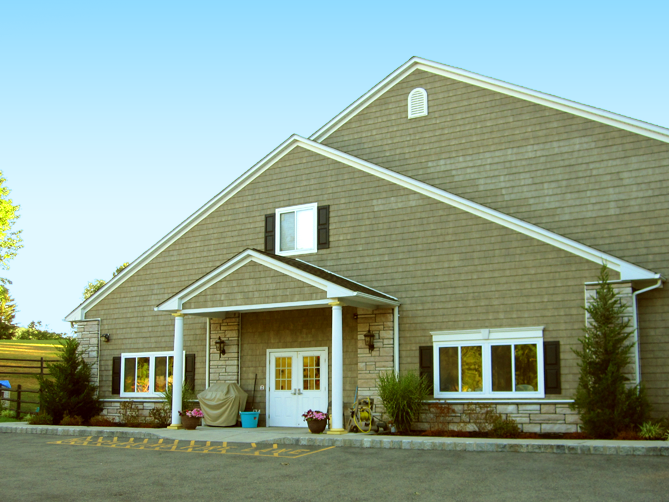 Our new center was opened in September of 2007 after residing in Croton, new York since 1991. We are licensed by the State of New York for 83 children ranging in ages from 6 weeks to 5 years. We provide service for families in Cortlandt, Peekskill, Croton-Harmon, Yorktown, Mahopac and Garrison. Our staff knows each child by name and respects them for his/her own individual abilities and stages of development. We conform to all state and accredited standards. We are MAT, CPR and First Aid trained. Our classes are age appropriate and child friendly in order to enhance the development and learning process for all the children in our care. Many of our teachers have been with us since our doors opened in 1991. In addition, several staff members hold Bachelors and Masters Degrees and others are currently enrolled in degree programs at various colleges. Happy Tots is one of the few centers open from 7AM to 7PM. Many of our parents are commuters and rely on our extended schedule. We are open when you need us.